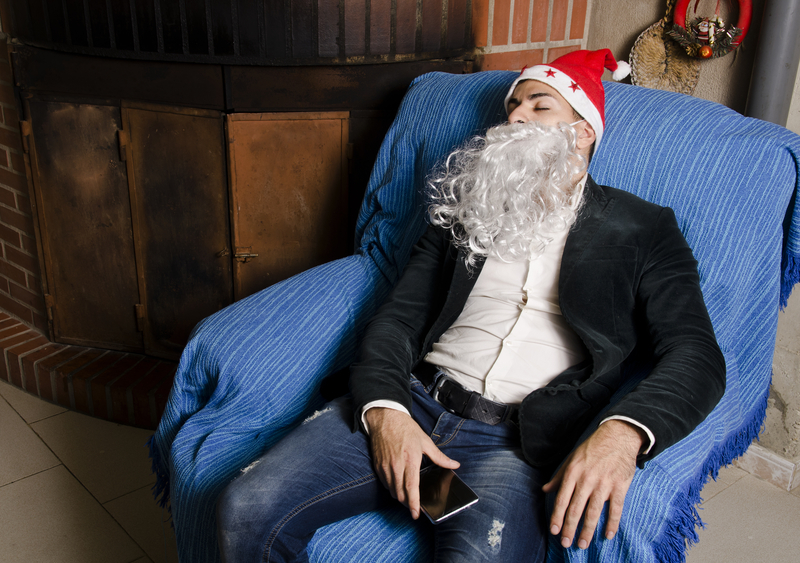 What can I do to stay healthy during the party season? The time for good cheer does not have to cause a problem. Follow some basic hints and tips that have stood the test of time and you will be able to participate in the party season and still have a sense of well-being. The four principle areas to focus on are rest, hydration, digestion and the skin. One of the most overlooked areas that affect our well-being is doing too much and not resting. Rest allows our body to rejuvenate and without rest we are walking a very precarious path. As we are all equal on this planet when it comes to time we need to develop a mindfulness around how we spend out time. Each and every one of us has 86.400 seconds each and every day. We cannot beg, borrow or buy any more. It is what it is. So we much allocate time to rest with the party season in mind. One way of doing that is to think about what you can take out of your usual activity in order to add the additional socialising in that occurs at this time of the year. This is particularly relevant if you are a very busy person; it would be quite unusual if you were not busy as this seems to be more common place in this day and age. Choose the best offers and spend your time on enjoying the occasion. Be mindfully engaged that you are sharing your time, your life. During the party season the weather is warmer and we need to be fully hydrated. Important to sip water across the day. If consuming alcohol (in moderation of course) then have water in between drinks to lessen the dehydrating effects. It is so easy to overlook such a simple thing, yet it cannot be emphasised enough how important sipping water actually is. Many foods that are consumed during the party season may be foods that are not usually eaten. This in turn stresses the delicate balance within the digestive system and causes havoc and discomfort. Paw paw is a great digestive aid and readily available at the very time of the year it is most useful as a healing remedy for upset digestive systems. This fruit offers digestive enzymes that assists to balance and settle the discomfort often experienced when over-indulging or rich foods enter the diet. Simply have 3 cubes of paw paw (about the size of a matchbox per cube). Apple cider vinegar is exceptional in its ability to settle the most upset tummy. Very economical and readily available. Simply take 10mls of vinegar and add ¼ lemon juiced and 50mls of water and drink. Can be taken before or after meals. When the digestive system has been particularly overworked and feeling of nausea has set in try natures digestive tonic. Simply grate or blend 1 whole apple and add the juice of ½ lemon and eat. You can feel this doing you good as it slips down the digestive tract helping to undo the upset that festive foods have caused. Sip water across the day, all day. If you are not used to hydrating regularly it may take a little time for your bladder to get used to the extra moisture. Keep at it and you will have less visits to the bathroom. You will be rewarded with a feeling of well-being. Not just any sort of hat. This k about the areas of the body that need protection; the face and the neck. A good wide brim is important and consider the wider the better. Yes the old adage slip, slop, slap is very important. Cover all exposed areas to the sun and do not forget the neck and if sun baking cover the soles of the feet as there is nothing more painful that having the soles of the feet badly sunburnt. Sometimes the sun plays tricks on us and although we feel it is not hot enough to wear a hat the sun still burns. Parts of the body that are often overlooked are the soles of the feet and the top of the head. OK I know what is a naturopath doing talking about cures for hang-overs? Good times, catching up with friends, relaxing after a full on year and the Chardy kept on flowing and before you knew it, you were … inebriated or the many words or it pi…., dr…; whatever you call it you felt good at the time but now you have a hang-over. There are a few scientific things I would like to share with you before I offer the cure. As you consume alcohol, you may generally dehydrate and your nutritional reserves decrease, significantly. The more you drink, up to a point, the better you feel. Tip over the edge and you start to not perform basic functions like walking and talking, at least with any degree of co-ordination. Now there is yet another question we need to ask, are you a sweet tooth or savoury? This question is important. I have found from working with literally thousands of clients that the cures may offer a better outcome if you choose ones that fit with your normal taste buds. Try to consume something that is against what you would normally like you will probably find you feel worse. Comfort and nurture is what your body needs from the bashing you have bestowed on it! For all sufferers; Hydrate first and foremost for all by sipping water slowly. Oat-milk is neutral so if you have a sweet tooth or savoury generally this one s OK. Simply take 1 cup of rolled oats (uncooked) and place in 1 litre of cold water. Place in the fridge and leave for a few hours. Shake and it will go milky. Sip the liquid over the day and include the oats as well. Slowly now. Great source of nutrients that the body desperately needs to aid recovery. Vegemite on toast for the savoury types. This offers the body Vitamin B and sodium that the body craves to recover. Eat slowly and feel the restorative ability of good old vegemite. Chocolate paddle pops. Many who have tried this remedy are astounded at how beneficial they are to get over the hang-over. The sugar is actually what makes it work I think, yet who cares why if it works. Do not panic about the food and good cheer you have consumed over the holiday season. Although you may feel sluggish at the moment a few simple and basic tips will get you bouncing into 2018 with gusto. You may have dropped off with your exercise, or you may have been thinking and thinking and thinking about exercise however never quite gotten around to it either way exercise is a must if you want to revitalise and energise. Expensive gym membership is not really necessary. Combine a few weights and some walking. Here are some tips. Walking is a good option. A little trick to get the most out of your walking is to start slow and pick up the pace. Walk for 9 minutes and attempt to get back to where you started in 6 minutes. If this is too much walk for 6 minutes and get back in 4 minutes. It will not be long before you will really step up and walk out for 18 minutes and back in 9. That is all you need to do 3 times a week. Best to do it regularly and less rather than overdoing it and stopping. Ensure you have really good walking shoes. Some recipes that can boost the protein and provide balance. Whip the egg just to break the yolk and link the white together. Less whipping is more with omelette making. Good protein and for those who miss breakfast helps to start the day with some god fuel. Extra virgin olive oil and balsamic vinegar combined. Amount is determined by personal taste. Consider lighter proteins at night. This option works well by incorporating a light food such as grilled fish with a combination of vegetables supported by nuts as an additional protein. Mid-morning and mid-afternoon snacks offer additional fuel to keep the body going. Try 150mls of almond milk or natural yoghurt with nuts and dried fruit; quick, easy and a power source for energy. By linking hydration, exercise and low fat proteins with a good variety of colourful foods into the diet 2015 will start with a renewed vitality.